As football training camps begin in Glendale and across the country, fans look forward to cheering on their team in another exciting season on the gridiron. Several former Chandler standouts are suiting up this week to prepare for the season. Among them are Pro-Bowler Cameron Jordan, former second overall draft pick Dion Jordan, All-American wide receiver Markus Wheaton, former Arizona Cardinal Dontay Moch, Sun Devil alum Kerry Taylor, and future Hall of Famer Terrell Suggs. Chandler has a long history of athletic success in many sports, but none more than in football. Hamilton High has been an unstoppable force for the last decade. Chandler High won the city’s first title in 1949, boasts the state’s top ranked quarterback, and the team has their eye on the 2014 state championship. Basha and Perry High are rising powers. Seton and Valley Christian High Schools have both won state championships in recent years. Several former Chandler stars have made their mark on the NFL. Adam Archuleta, former Arizona State University great and current sports broadcaster, once signed a contract that made him the highest paid defensive back in the history of the NFL and was a part of the “Greatest Show on Turf” St. Louis Rams. Sanjay Beach was a wide receiver for the San Francisco 49ers and Green Bay Packers, where he caught Brett Favre’s first career reception. Gordon Rule played for the post-Lombardi Packers in the late 1960s. All of these players followed in the footsteps of Chandler’s first local legend to play in the NFL: Eddie Wilson. Eddie Wilson moved to Chandler with his family in 1954 after his father received a promotion to manage the Chandler J.C. Penney store on Boston Street. 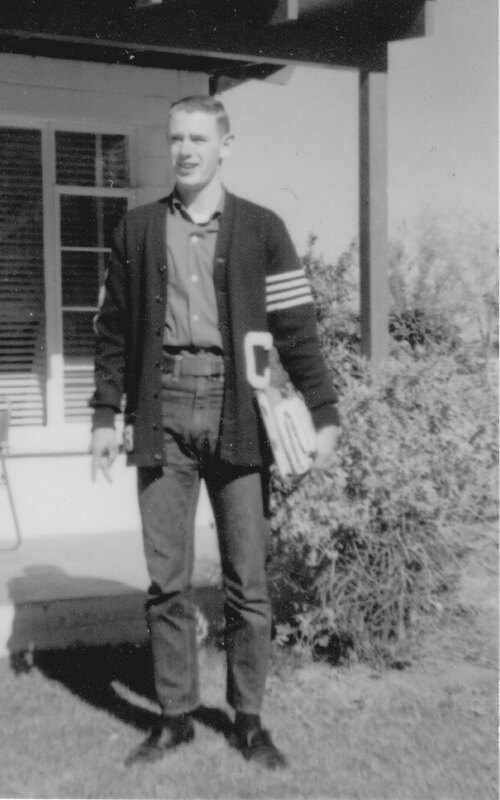 Eddie quarterbacked the football team and played all over the baseball diamond at Chandler High, helping the team to the 1957 state championship and earning a name for himself as an outstanding athlete. He was faced with some difficult choices at the end of his senior year in 1958. The Boston Red Sox visited his house in an attempt to sign him to a contract, and he had scholarship offers on the table to play football at Navy, Missouri, ASU, and University of Arizona. His dad wanted him to be the first member of the family to attend college, so signing with the Red Sox was not an option. He chose to attend Arizona. Eddie had a fantastic career at Arizona, where he is enshrined in the Ring of Honor. He was drafted by the Montreal Allouettes of the Canadian Football League, the Dallas Texans of the American Football League, and the Detroit Lions of the National Football League. He signed with Dallas, who became the Kansas City Chiefs soon thereafter. Serving as Hall of Famer Len Dawson’s backup, he helped the team win the 1962 AFL Championship. In 1965, he got the opportunity to become the starting quarterback for the Boston Patriots. Unfortunately, health issues put an end to his playing career after a single season in Boston and a short stint with Miami. From there, Eddie got into coaching football at both the collegiate and professional level. His 40 year coaching career is a laundry list of some of the biggest programs in the game: Arizona, Florida State, Wake Forest, Cornell, Hobart, Georgia Tech, and two stints each at Duke and ARMY. He spent one season as an assistant coach with the Kansas City Chiefs under legendary coach Hank Stram. Inducted into the Chandler Sports Hall of Fame in 2006, Eddie’s career as both a player and coach stands as one of the truly outstanding athletic careers in Chandler history.